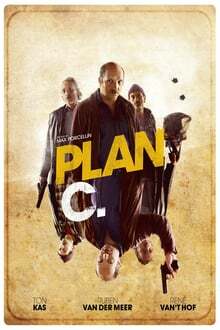 Ronald Plasmeyer (Ruben Van Der Meer) is a small-time Amsterdam detective, struggling with financial problems because of his gambling habit. When the Chinese crime boss Hao threatens Ronald’s ex-wife and son to get his money back, Ronald comes up with a plan that will solve all his problems. Ronald enlists two petty criminals (Ton Kas and René Van ‘t Hof) to rob an illegal poker tournament he’s taking part in, providing him with a perfect alibi. Quick, simple and non-violent; the plan is foolproof… until people start getting killed. Soon, Ronald’s partners take off with the money, leaving him empty handed. To make matters worse Ronald’s colleagues in the police force begin to suspect him of the robbery, setting the stage for a nerve-racking game of cat and mouse. Ronald is all-in… holding the worst hand of his life.